Our favorite neighbor, who visits us a lot, is five years old and likes bugs. So naturally, we went looking for bug apps. Which leads us to today’s topic: How do you find a good app for your iPad or iPhone? The easiest way to go is to look at the featured apps in the iTunes app store. That’s how we found “ABC Bugs,” for $3. It’s outstanding and has BBC videos of bugs in action. But searching for other bug apps got buggy. Our iPad (original version) crashed four times. Some of the bug apps we found were lame. Another way to search for apps of any kind is to use the free website at OttoCat.com. “OttoCat,” is short for “automatic category.” Searching here brought us links to hundreds of apps we would never have found otherwise, in sub-categories like Games/Kids/Bugs and Entertainment/Insects/Bugs. 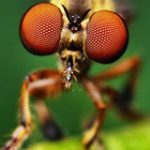 One app we found, the $2 “Buggy World,” has nice photos and info about each bug. We learned about “Herculean Beetles, which can lift 850 times their weight. That’s like a human lifting 12 buses. We also liked “Bugs! 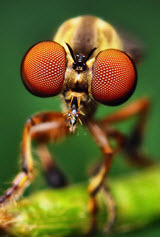 Incredible Macro Photography,” a 99 cent app with beautiful close-up photography.